I feel like it’s time for my first Fail Tale. 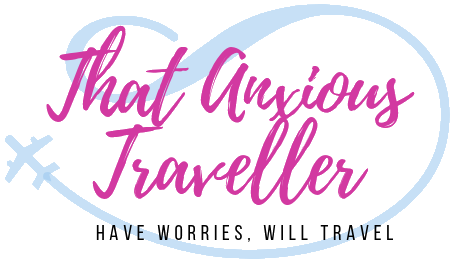 An account of one of the times when I have completely and utterly failed at travelling, due to anxiety being the real life equivalent of that meme of a child putting a stick in the spokes of his own bicycle, then writhing in the ground in pain. My travel fails have felt reasonably similar to that. 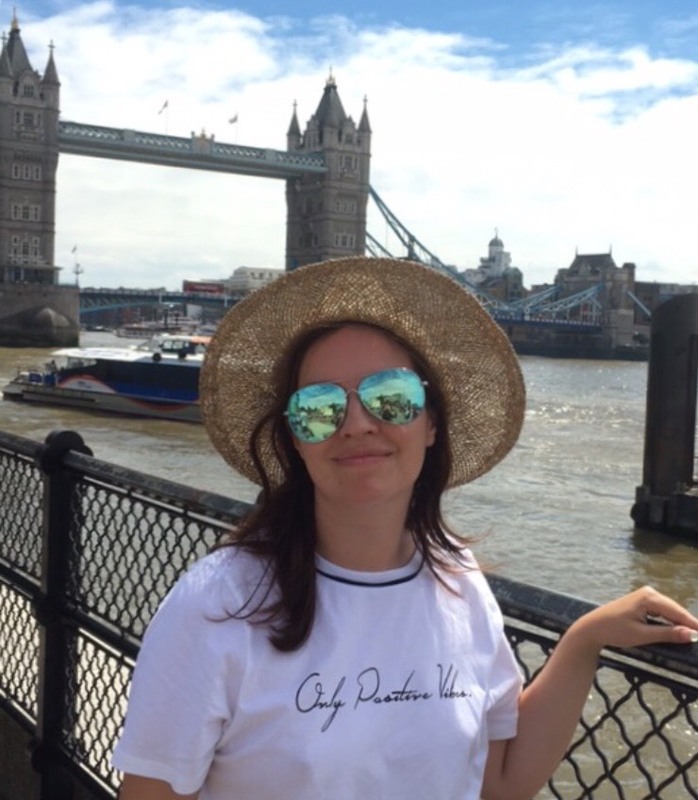 I’d like to share these tales to illustrate, especially to non-sufferers, just how much anxiety can really mess with you, even when it’s something you really want. Also, I feel that if I lay open my deepest wounds to you all, then it’s motivation to push forward. 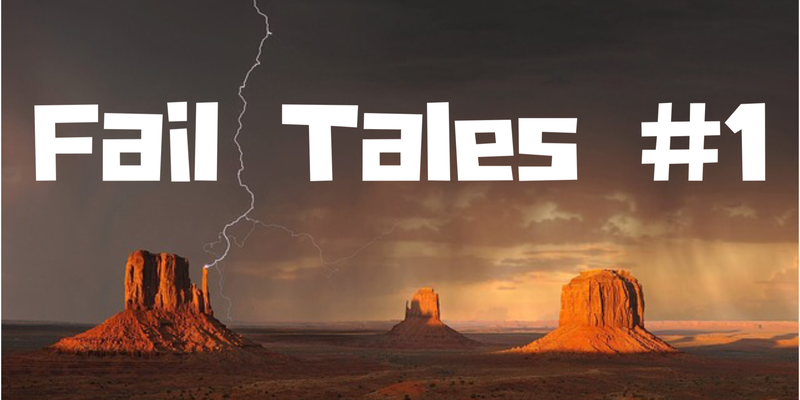 I want to follow the Fail Tales with Win Tales, whether from the past, or whether they’re new trips, until the wins outnumber the fails. It’s a reckoning, of sorts. And it’s also somewhat cathartic; for example, today’s Fail Tale is unknown to anyone but my closest family. A few years ago, I wanted to see America again. I’d had a couple of trips there in the previous years when my anxiety hadn’t been so bad, with visits to Nebraska and New York, and I had very much enjoyed myself. The United States is a great nation; I loved the people, friendly and welcoming, even if they did keep mistaking me for an Australian (in fairness, someone in the tiny English town where I was born once asked me what part of Australia I was from, so I suspect I’ve picked up a slight twang from somewhere). I loved the excitement and architecture of New York, the friendliness and wide open spaces of Nebraska, the stunning natural beauty of the Rockies around Denver. Colorado in particular tugged persistently at my mind. I love mountain landscapes. I suspect it’s something to do with living at sea level my entire life. I’m always fairly nonplussed at hotels and restaurants which charge you extra for a view of the sea; I’m used to seeing the sea on a regular basis, and freezing to death on various British seaside promenades. But give me a view of the mountains, and I’ll throw money at you. I yearned to return to Colorado, and take in those gorgeous natural landscapes, the rugged beauty of snow-capped mountains that rose out of the plains like a mirage, the clear lakes and creeks. The problem was that I couldn’t find a way to do it independently. I can’t drive – another thing that anxiety has thus far prevented me from attempting – and my friend with whom I’d made the previous trip had moved to New Zealand. Plus, some part of me felt that was time to start some solo travel. I was quite determined though; I had one eye on my birthday the following year. A trip to America would be a lovely little present to myself. READ Day Trips From Florence: 7 Easy and Awesome Places To See! After a bit of internet research, I found my trip, and I was extremely excited about it. Instead of seeing Colorado and the Rockies again, I was going into unexplored territory. I’d found a coach trip (not exactly solo, independent travel, but I figured that it was a good first step) which would take me around the national parks of Arizona and Utah, finishing up at the Grand Canyon. New, amazing natural sights. The company was known to be popular with older Australian couples, and I would probably be the only young person on there, but I was fine with that. For the route and the ease of travel, it was worth it. Plus I sounded Australian anyway, and I like the Aussies, so I could fully embrace my Antipodean brethren. The route was a good one. After a fifteen-hour flight to Phoenix, I’d be whisked around Sedona, Monument Valley, Arches National Park, Bryce Canyon, various side trips, and a finish at the Grand Canyon before a couple of nights in Las Vegas and a flight home. I booked the trip with no hesitation, gleeful and excited. I bought the Rough Guide to the Southwestern USA, and read it from cover to cover. I found an old picture book of the area in a second-hand bookshop, and pored over that too. I bought a laptop to stay in touch with my family, installed Skype, and almost bought myself a new DSLR camera. I was nothing but excited at this point, except for a slight reservation about that fifteen-hour flight. The trip itself I was almost craving, counting down the months until it would be upon me, until I’d be flying off into new experiences with my new squad of elderly Aussies. I’m not sure when the anxieties started to begin – the trip was going to be in September; I think it may well have started around April or May. I’d experienced it also before my trip to Nebraska, so at first I dismissed it as nerves which would go away when I got to the airport – possibly, this diagnosis would’ve been quite accurate, but other anxieties that I couldn’t ignore keep adding themselves in a pile, until it became a stack. First and foremost was the flight. I am not a good flyer. The first time I flew was when I was nine, and according to my parents I was fine until we were just about to get on the plane, whereupon I realised that I was trusting my young life to a machine suspended 36,000 feet in the air, and promptly turned a deathly pale colour. I have since had very few flights where I haven’t been having a silent internal screaming fit, even though I remain bizarrely fascinated by airports and the aviation industry. Fifteen hours was significantly longer than either my flight to New York, or the flight to Omaha, which had been broken up by a four hour layover in Cincinnati. I’d been apprehensive about it when I booked the trip, but assumed I’d push through the fears. They were now threatening to choke me. My google history suddenly showed up multiple searches on deep vein thrombosis. I tried to ignore the anxieties, but they kept coming. It was as if that by ignoring my concerns about the flight, a miasma was emanating from that little ball of worry, tainting everything else around it. My Google searches went from being from a purpose of giving myself greater excitement about my trip, to a purpose of checking every possible thing that could go wrong. I looked at Google Maps Street View to see if there were any dodgy roads. I googled crime statistics for Phoenix and Las Vegas. I searched for local wildlife, increasingly terrified of rattlesnakes, scorpions, spiders, and various bitey things. I looked for statistics of accidents at the Grand Canyon, and how many people fell over the edge. I even tried to google the distance from my accommodation to the edge of the canyon, in case there was a landslide. None of these searches came back with anything I should’ve been specifically alarmed about, but in my mind, I was convinced that I was on a one-way death cruise. I was now in August, a month before my scheduled departure. I developed a constant anxiousness; I couldn’t get my perceived imminent demise out of my head. I broke down in tears in the bathroom of my workplace when it got too much. I was permanently exhausted. I spoke to my parents, who still give me the best advice out of anyone I know; they were obviously concerned but reiterated that I’d been nervous before my previous transatlantic trips. I still couldn’t accept that I would get on the plane and be okay. I would undoubtedly be ill, I thought, not noticing that I was making myself more ill from from the irrationality of my worries. Eventually, I couldn’t take any more. Two weeks before departure, I went to my local travel agent, where I’d booked the trip, laid down my paperwork, and asked if I could cancel it. She looked me in the eyes. I was tempted to make something up, and still seem like a pro traveller who was unlucky this time. But I couldn’t. And I think at that point, I realised how fully in the grip of anxiety I was, but I still couldn’t do anything about it. “I just can’t do the flight,” I replied truthfully, stomach sinking. She looked at me sympathetically, and called the coach trip company to cancel, and see how much money I could get back from what I’d already paid. After some initial conversation and wrangling, she held the phone to her shoulder, and looked at me. Somehow, through the ringing noise in my ears, a sick feeling in my stomach, and the shock of the enormity of how much this was costing me both financially and mentally, I heard my own voice. I went back to work on Monday. I told my colleagues that my trip had tragically been cancelled by the tour operator with barely any reason given, that I had my money back, and that I was disappointed but I’d go another time. I told the same story to everyone who wasn’t immediate family. I was deeply ashamed of myself, which somehow made the anxiety worse. I still think about it pretty often, and give myself a little mental kick up the backside. However, the point of this little woeful tale is that I’ve found better ways to cope with anxiety since then. I know that I can do it now; I don’t want to waste any more opportunities like that one. I don’t want more regrets, and miss more fun and exciting journeys. I’ll be sharing the methods that I’ve discovered for coping with anxiety in the coming weeks, but if just one anxious person reads this and thinks “crap, I don’t want to do that”, and it changes their mind when they may have been considering pulling out of a trip, then I’ll be happy. Has anyone else backed out of travels at the last minute, or been tempted to before going ahead with it, and being really glad you didn’t? Would love to hear your stories in the comments! Sounds crazy! Love that- fail tails haha. Hello! I totally identified with this story. I bought a 35 day trip to Europe (it will happen in two weeks time). I have always felt anxious about traveling, but earlier this year, I cancelled a trip to camp in an island near my house which I like very much. I have camped alone before (a bad experience), though I had never camped alone in this island. I have always gone there with friends or family. I don’t know why I all of a sudden I was panic stricken. I just couldn’t muster up the courage to catch the bus and boat, and didn’t go. Afterwards, seeing I hadn’t gone, I felt deeply depressed. A month and a half later, a friend invited me to spend 16 days with her in Croatia during my holidays. I have always dreamt of seeing the world, and I have actually traveled alone to India, and I have gone with my sister to Mexico, Spain, Argentina. I have gone to conferences in Wales, in Portugal, all over Brazil (I am Brazilian and live in Rio). Anyway, this time I decided to go to a place I have thinking of going for a long time now, Iran, before I meet my friend in Croatia. So I bought a 35 day ticket to Croatia, thinking of catching a plane to Iran from Croatia. I know it is safe, I know people who have gone to Iran and loved it. However, since I bought my ticket to Croatia, a month ago, I have been extremely anxious and have not mustered up the courage to buy the ticket from Croatia to Iran. I called the plane company to cancel my flight or shorten it to 16 days, but it is very expensive. I had originally also imagined the possibility of going to Italy, but after I bought my ticket and the anxiety started, I don’t feel like going to Italy anymore. 14 days away from my flight, I still don’t know what I am going to do. I keep remembering missing the bus to the island where I was going to camp, and how deeply depressed I felt after, how I vowed never to cancel again. Thinking now after writing all this, I realized I will go after all – even if to just stay in Europe, not go to Iran. I don’t know. I guess I could visit a friend in Milan. Let’s see. But I won’t cancel again. So many hugs for you, Emilia! *hugs* It’s a horrible feeling, having that uncertainty and fear, but remember that you can do it, and you WILL be absolutely fine! That feeling of depression is just too miserable to go through again (though I totally understand why you cancelled the camping trip, and you shouldn’t feel like it was a failure – it just wasn’t right for you at that time, and that’s okay :)). Whether you go to Iran or not, you’re an experienced traveller, and you know that you have the knowledge and the skills to be absolutely safe. I completely admire you for having the determination not to cancel again.